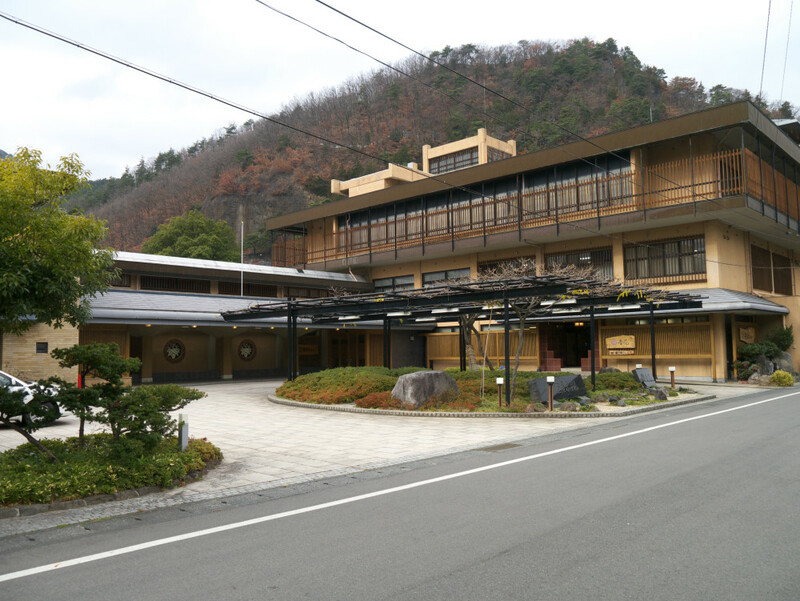 Sasaya Hotel is the 22nd stop on the Togura-Kamiyamada Onsen Audio Tour. This grand ryokan is the most historical of all the inns in town. The wisteria tree in the entrance is over 100 years old. In the center of the hotel complex is a guesthouse building called Hohnen-Mushi. Built in 1932, it is a on Japan’s national historical registry. It was designed by Endo Arata, a protege of Frank Lloyd Wright. Free tours of Hohnen-Mushi are offered daily.